The article was found on The Columbian website. It follows BFRO investigator Scott Taylor as he presents, investigates a family of five sasquatch and teaches a Washington family how to invite Bigfoot for a swim. 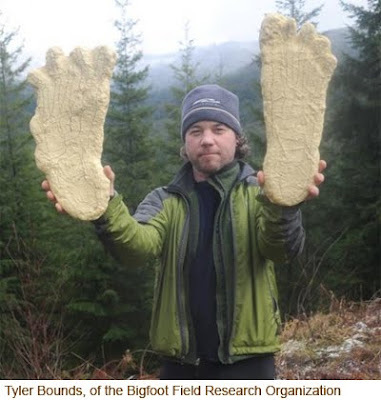 Centralia — Since giving a presentation at the Centralia Timberland Library in April and leading an expedition into the Gifford Pinchot National Forest in June, bigfoot researcher Scott Taylor has stayed busy. Shortly after the Gifford trip, Taylor led a group into the Olympics. As an investigator for the Bigfoot Researchers Organization, Taylor helps collect evidence of Bigfoot's existence. The researcher says he has had multiple interactions with the controversial creatures, including one during his Olympics expedition. "It went really well. We had a family of five sasquatches that were watching the people walk by," Taylor said. "It was pretty interesting and fun for those guys." The alleged 7- to 8-foot-tall creatures -- which are purported to be humanlike with ape attributes or apelike with human attributes, depending on whom you ask -- have long been a source of fascination in the Pacific Northwest. They are said to primarily reside in forested regions with plenty of protein sources, and Washington historically has been a hotbed of sightings, according to the BFRO. Taylor frequently counsels people dealing with sasquatch squatters. Often, the sasquatches are living in a field or a barn or, in the case of one Washington family, a front porch, BFRO researcher Scott Taylor said Friday. Over the summer, Taylor worked with the family to develop an amicable relationship with their visitors. He hoped to create a non-threatening environment, by sharing gifts and other gestures of good will, he said. 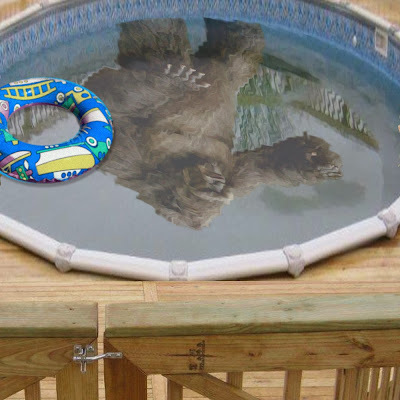 Evidently it worked: "The sasquatches took to swimming in an above-ground swimming pool," he said. "We pulled a huge wad of hair out of the filter." 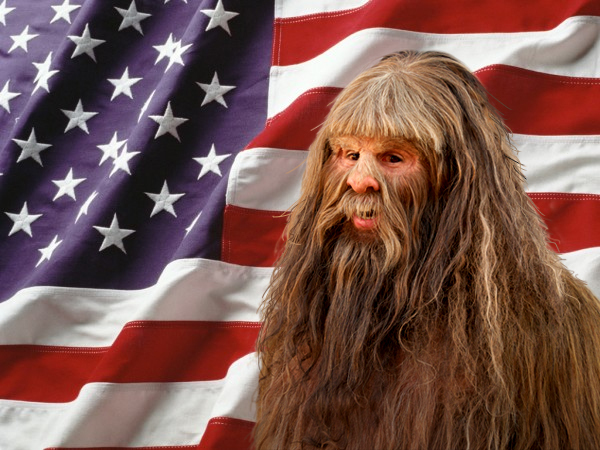 Happy 4th of July from the Bigfoot Lunch Club! There are about 17 Bigfoot Fourth of July stories from BFRO! Below are the top 6th, Hope you enjoy. These stories have been rewritten for you reading pleasure, you can read the rest of the stories told by the witnesses at the links following each story. During July 4th weekend camping trip, a man, his wife and three children hear rustling in the middle of the night, assuming it was raccoons until they heard the vocalization of something much bigger. It was enough to get the two creatures to stomp away, and the stomping sounds were enough to convince the family these were not raccoons. The mother gathered the kids and drove to the nearest town of Portsmouth. They returned an hour later when light began to break. When the parents went to scout the camp site, sticks were thrown and heavy breathing was heard, so they returned to the car and stayed there for another 3 hours. Eventually they returned to camp and had found everything in tact except for the garbage, which had been thoroughly gone through. Three miles east of Nebraska, a family had lit their final fireworks and the hour was close to 11. The party of eight adults and six children retired to the patio as the night began to wind down. Suddenly one of the adults jumped from his chair and urged everyone to look at the bean field across from the house. The witness drove his 4x4 truck equipped with spotlights to the place the creature was heading towards. The trail led to a barbed wire fence that clearly indicated the creature had crossed through. The evidence at the fence was enough to scare the witness into turning around and go home. During a Fourth of July Weekend a Mother and her Baby were heading home in a Honda Civic. As they rounded a corner the mom eyes followed the guard rail to her right, past the final guard rail post was a crouching creature. To her surprise the seven-foot tall creature stood up eventually jumped in front of the car. In shock, she did not slow down and the creature seemed to know this. Immediately the creature laid flat on the ground and the mom could feel her driver side tires roll over the creatures head. Once home she checked for damage to her car and found only the some hair got in the license plate bolt. it was 1:30am on highway 395. It was the evening of the Fourth of July (officially the fifth as it was 1:30 am) and the witness was driving his 1964 Lincoln Continental Convertible, a car with four headlights. “ I was doing about 70 MPH when my lights caught the eye reflection. I rapidly decreased my speed & the damn thing just stood there like he owned the road! Maybe he was as supprised [sic] as I was? I had good visual on him for at least 10 seconds at close range.” The witness reported. Upon a follow up interview the witness estimates that he got within about 40'-50' at the closest approach before the animal decided to move and could clearly see its facial features, as it was looking at the car directly. He emphasized its short neck and ape-like face with brow ridge and flat nose, the head shape closer to that of a gorilla than of a chimpanzee. Five climbers made base camp at 6500 ft, a great spot to witness firework in Libby, Montana 10 miles away. Any chatter amongst the climbers was silenced by a call lasting for ten long seconds. The calls are described as a low bear-like growl that continued to rise into a high-pitched scream. The next day a 15ft deep cave was discovered that was lined with pine needles. Knocks have been heard in the area when the witnessed returned with his son 6 years later. A fourth of July camping trip near the Humptulips fish hatchery at the mouth of Stevens creek. This is in Grays Harbor County Washington, a hot spot for Bigfoot encounters. After a cooking hotdogs and talking, almost all five campers including a father, son, fiancé, a friend and his step-brother settled in for the night. The friend had stayed up until 2:30 am, and that’s when the whoops began. 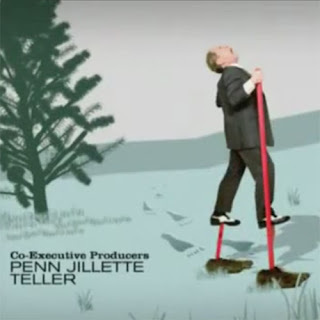 Intro credit to Penn and Teller's show Bullsh*t.
Finding Bigfoot is coming to Vermont on April 14th. The Times Argus, a daily morning newspaper serving the capital region of Vermont has been less-than-favorable towards Finding Bigfoot and Matt Moneymaker in particular. The paper cites two topics that could be considered sore spots for BFRO and Matt Moneymaker. The full Times Argus article is at the end of this post, but first we want to highlight the two topics. TOPIC ONE: Sonoma video hoax by Penn and Teller. TOPIC TWO: Finding Bigfoot cast complains about show's misleading editing. RUTLAND — Is Bigfoot lurking somewhere in the wilderness of Vermont? The producers of Animal Planet’s “Finding Bigfoot,” which has yet to locate the elusive sasquatch after 18 episodes, are hoping he might be. According to a release sent out Friday by the Rutland Region Chamber of Commerce, the representatives of the program want to hear from Vermonters who believe they might have seen Bigfoot and will organize a town hall meeting on the subject April 14. While a call to producer Natalie Hewson was not immediately returned Friday afternoon, the chamber did forward an email address for people to report sightings and get information on the meeting: Vermont.bigfoot@gmail.com. While Vermont is best known in cryptozoological circles for its supposed lake monsters, Bigfoot sightings are not unheard of in the Green Mountains. Reports have popped up in Chittenden, West Rutland and across the border in Whitehall, N.Y. 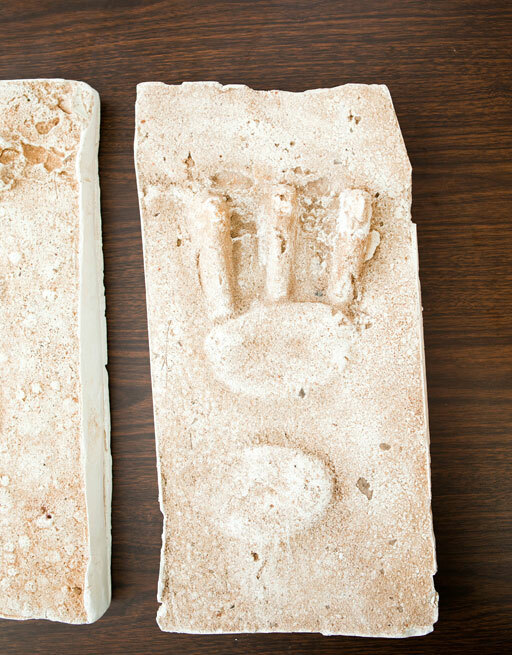 The late Warren Cook, who taught anthropology at Castleton State College, was a Bigfoot enthusiast who collected purported evidence including footprint casts and hair. 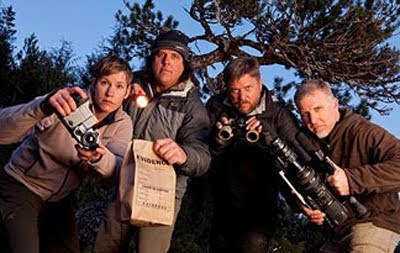 The program follows the investigative efforts of the Bigfoot Field Researchers Organization, headed by Matt Moneymaker. Before “Finding Bigfoot,” Moneymaker fell prey to a prank by magicians Penn and Teller, who hosted a Showtime program (whose name is not printable in a family newspaper) dedicated to debunking various phenomena. The duo created and distributed a fake Bigfoot video, which Moneymaker said he was confident was genuine, saying he had seen a number of hoaxes, according to the Bigfoot lore repository squatchopedia.com. Moneymaker stood by that claim when Penn and Teller announced the hoax in the lead-up to the show, according to the website, but then took down his statements after the program aired. Last year, Moneymaker was quoted on multiple websites complaining that the editing of the show was misleading. He described sounds being added after the fact by the production team and shots cutting away from mundane animals that should have been identified as not being Bigfoot. In journalism a puff piece is defined as an article or story of exaggerating praise that often ignores or downplays opposing viewpoints or evidence to the contrary. At first, this article seems to be a puff piece for the BFRO, eventually it gets down to the good stuff and has some real gems from Cliff Barackman. Its ends up going into other territories, like lizard men. Read it for yourself below. Mary Beth Pope knows what she saw. 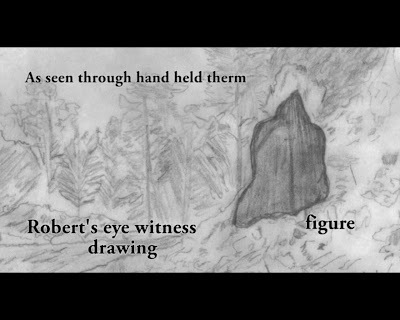 On a clear night in November 2007, while hiking on an overgrown logging road in Sumter National Forest with four fellow members of the Bigfoot Field Researchers Organization, she heard a crunch of leaves and twigs, glanced to her left, and saw an eight-foot-tall creature walking alongside her. It had shaggy fur and arms that swung down by its knees, and it was perhaps 30 feet away. She froze in her tracks and tried to stay calm. Pope, who runs a sustainable-food wholesale and retail business on Pawleys Island, moonlights as a sasquatch investigator with BFRO, which is perhaps the largest group of Bigfoot believers in North America. Formed in 1995 by a man in Ohio named Matt Moneymaker, the BFRO sends its members into small towns and backwaters to check out reports of Bigfoot sightings and either confirm or debunk them. According to the group's website, the state with the largest number of reports is Washington, with 525. The one with the fewest is Delaware, with two. South Carolina has 49. 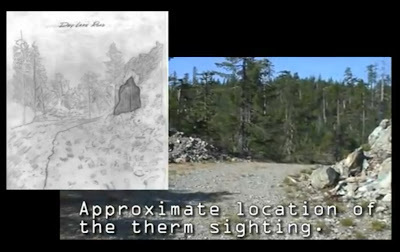 For this particular investigation, the team drove to the end of a forest service road and began hiking single-file toward a meadow clearing where skookum activity had been reported (skookum, like skunk ape or knobby, is just one of the many regional names for sasquatch). The researchers maintained a distance of 20 to 30 feet between each other and kept silent as they made their way through the pine forest. Pope was fourth in line, and she didn't want to spook the intimidating beast that had appeared to her left. "I didn't want it to know that I knew it was there, so I started walking again," she says. "When I started walking, it started walking. It kept its head straight ahead." She quickened her pace to catch up with the third person in line, but he shushed her when she tried to get his attention. "I could see the meadow and our people coming to the end of their hike, and all I wanted to do was get there, get where I could be close to other people," Pope says. Just before she got to the clearing, the creature peeled off and disappeared into the woods. That night as they camped out in the clearing, she told her fellow researchers about the encounter. They believed it. Back home, her tales usually fall on skeptical ears. She remains unshaken. "For me, I don't feel like I have to convince anyone, because I know what I saw," she says. Pope estimates that she has contributed to 75 to 100 reports since joining BFRO in 2007, although most are not publicly available on the BFRO website. She says the point of the data collection is not to prove the existence of Bigfoot — the members already know where they stand on that issue. Rather, the group is tracking data like rainfall and deer migration patterns to learn what it can about America's best-known cryptid. Many of the people who report Bigfoot sightings don't want their names or locations made public, either out of fear that they will be ridiculed or that droves of sasquatch enthusiasts will come traipsing onto their property. BFRO protects its sources' anonymity when they request it. "There's a lot of stigma attached to Bigfoot and Bigfoot sightings," Pope says. Her own brother had a face-to-face sighting with a mother sasquatch and her child in broad daylight in rural North Carolina, but he doesn't go around broadcasting that information. "He doesn't like to talk about it," she says. When a person spends enough time alone in the woods, he can get the feeling that he is not, in fact, alone. Don Tart, a BFRO member from Westminster, S.C., says most of the game hunters he has talked to know exactly what that uncanny sixth sense feels like. When they admit they've felt it before, he tells them about infrasound. Tart believes that sasquatches are capable of emitting sound waves below the 20-Hz threshold for human hearing. Like many of their other adaptations, he says, infrasound serves to help sasquatches either scare off or avoid human beings. They have also been known to bang on tree trunks and throw rocks when they are in distress, either to scare off intruders or to alert their families. They are even believed to use sticks to build small teepees indicating the presence of humans nearby, a behavior that he thinks might be related to the creatures' pre-Colonial contact with Native Americans. And then there's the howl. "To me, it sounds like a cow in distress, but it carries for a lot longer," he says. "It's an eerie sound." Tart himself has felt the unease of not being alone in the woods. The first time was in June 1980 near Mt. St. Helens, which had recently erupted and killed 57 people. The volcano was still spewing hot ash when Tart, then a freelance photographer, hiked into the red zone ­— the 10-mile radius where officials had said they would arrest anyone caught trespassing. He walked toward the mountain in the dark morning hours, before the guards were to arrive at 7 a.m., and was scoping out vantage points for photographs when he looked down and saw a solitary footprint pressed deep in the mud that was perhaps 16 inches long and 5 inches wide. In his mind, he wrote it off as an enormous bear track, but a part of him felt a strong urge to get away. For years after that first queasy encounter, he was only a casual observer of Bigfoot phenomena. He took a job at Duke Energy's Oconee Nuclear Station near Seneca. Eventually, after accompanying some BFRO investigators on a 2006 expedition in North Carolina, he accepted an invitation to become a member. "In my line of business, as an engineer, I validate assumptions," Tart says. "But I've seen a lot that I can't explain. I've seen them up close and personal." Here's what Cliff Barackman knows about sasquatches: They are omnivores. They have flat feet. They are probably nocturnal, which would explain the scarcity of daytime sightings. "If you had never been to school — no culture, no math, no ability to make fires — but you had that big old brain and you funneled all that intelligence into avoiding people and surviving, you'd be very good at it too," he says. Barackman is one of the stars of Finding Bigfoot, a TV show about BFRO investigators (including Matt Moneymaker) that recently began its second season on Animal Planet after becoming one of the network's top three series in 2011. He knows people regard his career choice with derision, and they have even yelled at him in public for promoting Bigfoot theories. He understands why. "It strikes this chord in us because they are so similar to us," Barackman says. "Perhaps, in some people, it makes them so uncomfortable because it reminds us that we are animals, that we are part of the food chain, and that we are still, in some ways, beasts." Establishing credibility is a big part of Barackman's job these days. He says he focuses his energy on researching Bigfoot, but not other murky phenomena such as UFOs or chupacabra sightings, because he has realized that "the more diverse the weird things I'm into, the less credible I become." Barackman has done investigations across the United States, and he says the reports don't vary based on demographics — he gets them from people of all races, creeds, and backgrounds. He also says that, for every report that the BFRO receives voluntarily, he meets 10 people on the ground who have never spoken up about their own Bigfoot sightings. "In small towns, your reputation is sometimes the only thing you have," Barackman says. "You don't want to be seen as a liar or someone who hallucinates or is on drugs." As a researcher, Barackman stands on the shoulders of luminaries in the field, people like Idaho State University professor Jeffrey Meldrum, who is perhaps the only person with a collection of sasquatch footprint casts that is larger than Barackman's. After authenticating plaster molds from the field — looking for telltale signs of a fake, such as the presence of an arch — he often shares them with Meldrum. By marking the lengths of footprints on a scatter plot, he and Meldrum have determined that male sasquatches have slightly larger feet that females, as is the pattern in most primates. What should you do if you come face-to-face with a Bigfoot? Finding Bigfoot co-host James "Bobo" Fay likes to talk to the beasts, place food on the ground, and then leave the area. Barackman cites Oregon Bigfoot researcher Autumn Williams as giving the advice to "let it retain control, because you're not in control anyway." "If they were dangerous and came after us, we would have gone after them with pitchforks and torches centuries ago," he says. "That said, I think it would be stupid to shoot one, because it would probably retaliate." The last time South Carolina made it on the map, Bigfoot-wise, was in 1988. That summer, in rural Lee County, tourists and international media swarmed the tiny town of Bishopville hoping to catch a glimpse of the Lizard Man of Scape Ore Swamp. According to contemporary newspaper accounts, it all started when 17-year-old Christopher Davis pulled his car to the side of the road around 2 a.m. one June night. He had blown a tire near the swamp on the way home from work, and when he got out of the car to change the flat, he saw a monster with green skin and glowing red eyes bounding toward him. Terrified, he scrambled back into the car and pulled away, but not before something banged on his bumper and then jumped onto the roof. He swerved to throw the creature off and then sped home, taking hours to settle his nerves before telling his parents what he had seen. After Davis finally worked up the nerve to tell Sheriff Liston Truesdale what he had seen, other reports started coming in from around the swamp and the Browntown neighborhood. In some instances, people reported torn-off fenders and bite marks on wheel wells. To this day, the Lizard Man is a topic of conversation in Bishopville. There are believers who have evidence to back up their claims, and there are nonbelievers. There is now a Lizard Man 5K, and at least three songs have been written about the creature, while a museum in the town still peddles T-shirts and hats featuring crude drawings of the Lizard Man, vestiges of the year when Bishopville became an international curiosity and tourist hot spot. Of course, the Lizard Man does not exactly fit the traditional model of Bigfoot stories. For one thing, it is much too aggressive. For another, it has been identified as a reptile with three toes per foot — although the authenticity of the tracks has been disputed. But Barackman thinks the Lizard Man might have been a sasquatch with a wrinkled face that spectators mistook for a scaly face. And anyway, the study of the Lizard Man falls under the same field of research as Bigfoot sightings, known as cryptozoology, or the study of creatures whose existence has not been proven. In the summer of 2011, three professors from the College of Charleston — a biologist, a historian, and a communications researcher — traveled to Bishopville to hear Lizard Man stories, which by then had reached mythic status. Christopher Davis was murdered in 2009, but Sheriff Truesdale was still around and willing to talk. The professors' two-day expedition did not yield any positive evidence. They saw the landmarks and heard stories from town historians, but they left as unconvinced as they had been when they arrived. Today, they talk about it with an air of academic distance. Their aim, after all, had been to learn about the Lizard Man's believers, not the Lizard Man himself. Plaster mold of lizard man from lee county, S.C.
Plaster mold of lizard man. Eric McElroy, who studies reptiles in the college's biology department, says the story of the Lizard Man would likely not have made it outside of Lee County if Truesdale had not taken Davis' story seriously. There are those who believe the Lizard Man was really a local farmer who dressed up to scare away people who had been stealing the copper coils from the air-conditioning unit in his butterbean shed. "The sheriff said, 'I'm not here to be skeptical. I'm just here to investigate,'" McElroy says. "He treated it as a real case." McElroy, for his part, did not take the same approach when he traveled to Bishopville. He knew that a reptile-human hybrid is an impossibility, and, as with all Bigfoot claims, he saw a simple lack of solid evidence. "These animals are eight feet tall and furry," he says. "I have a hard time believing that there's a population of these in existence that we've never seen a carcass and no one has ever kept one in captivity." As a researcher, he was somewhat disheartened to learn about all the time and effort people had poured into validating legends like the Lizard Man. "The amount of money that goes toward researching Bigfoot is disappointing when you consider that basic science research is hurting for money," he says. Robert Westerfelhaus, a CofC communications professor, had heard of Bigfoot stories while living in Columbus, Ohio, in the '80s. At the time, rumors abounded that Bigfoot-like creatures had come down from the Appalachian foothills in the southeastern part of the state. Sheriffs and teetotaler preachers had provided credible eyewitness accounts, but the culprit turned out to be bears that crossed over from West Virginia when a harsh winter froze the Ohio River. After traveling to Bishopville, the thing Westerfelhaus found most remarkable was the way the Lizard Man had briefly buoyed local businesses and inspired hopes of economic revival. To this day, there are those who call for the construction of a Lizard Man statue in the town. Perhaps the most keenly interested of the three professors was Scott Poole, the history professor and author of the 2011 nonfiction book Monsters in America: Our Historical Obsession with the Hideous and the Haunting. In his book, he wrote that although Bigfoot-style stories have existed in America since the Colonial days, when they represented a fear of the unknown on the New World frontier, they really reached their golden age in the 1950s and '60s. He cites the proliferation of so-called "creature features" and alien-invasion films at the dawn of a nuclear age as a sign of unease with the direction of American scientific research. "I tend to think that beliefs about Bigfoot, beliefs about UFOs, beliefs in the paranormal, this current fascination with ghosts and specters and hauntings, it comes in part from a religious impulse and an effort to re-enchant the world," Poole says. "We want to reject the idea that the world has been explained for us, that there's order, that there's rationality, and that science can answer the big questions." Cliff Barackman, like many Bigfoot hunters, tends to see his research as more scientific than mystical. But ask him why his TV show is such a success and why sasquatch tales continue to fascinate decades after Bigfoot's prime as a cultural phenomenon, and he gives an answer similar to Poole's. "Humans have this arrogance where we think we have things all figured out, but we don't," Barackman says. "It's kind of neat to know that there is still mystery in the world, and these things have still eluded us, and we don't know everything yet. It's even cooler that it's right in our own backyard." "I like the romantic notion of our search, this wonderful gray area," Kiel says. If Bigfoot is actually discovered one day, he notes: "Then all of this will be over." Germans are interested in Bigfoot too, Der Spiegel is a German weekly news magazine published in Hamburg. It is one of Europe's largest publications of its kind, with a weekly circulation of more than one million. This is a thoughtful article that reflects bigfooting in a way we may not get in the American mainstream press. The plaintive howl echoes through the forest sounding like a muffled "whoop, whoop, whoop." Brandon Kiel pauses to listen in the dark, holding his breath for a moment before drawing air into his lungs. Once again, Kiel cups his hands in front of his mouth and imitates the call: "whoop, whoop, whoop." The sound echoes back through the night, but all else is silence. Bigfoot isn't answering. "The season is favorable," Kiel says, with a touch of disappointment. "But it's always possible that the animals are not in the area." The blueberries are ripe, and the calves of the Roosevelt elk, one of Bigfoot's favorite foods, haven't matured yet. 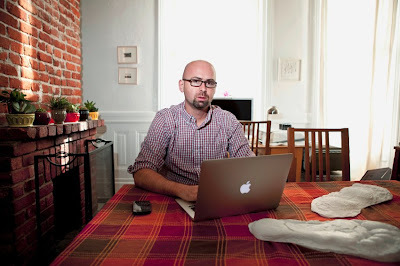 Kiel, 41, is a field researcher with the Bigfoot Field Researchers Organization (BFRO), a group based in the United States. The creature he is looking for is said to be clever, shy and stealthy -- an expert at camouflaging itself. But here in the redwood forests of northern California, Kiel is hoping he'll be blessed with hunter's luck. He and 20 fellow field researchers are on an expedition to track down Bigfoot. Kiel calls the ominous creature "Squatch," short for "Sasquatch," a word in a Native American language that means "wild man of the woods". The shaggy, mythical creature -- half ape, half human -- is believed to be powerfully built, reach heights of up to 2.5 meters (over 8 feet) and weigh up to 230 kilograms (500 pounds), and it allegedly spends its time skulking through the forests of North America. So far, there is no real evidence of the existence of this alleged primate species. Indeed, human beings have never actually gotten their hands on a Sasquatch, either dead or alive. Nevertheless, experienced "Squatchers" like Kiel are convinced that the animal exists. Even the Native Americans in the region had songs praising this mysterious miniature version of King Kong. Dozens of huge footprints have been found. Hundreds of eyewitnesses from the Canadian province of British Columbia all the way down to Florida -- including police officers, park rangers and professors -- claim to have laid eyes on the creature. The literature even mentions tufts of hair and a Bigfoot toenail found near the Grand Canyon. "I am convinced that the Sasquatch exists," says British Columbia wildlife biologist John Bindernagel. For years, Bindernagel has put his academic reputation on the line by not only believing in Sasquatch, but also studying it. "I estimate the population of the animal to be several thousand at least," says Bindernagel, who has already written several books on Bigfoot. Bindernagel also has a theory on how Bigfoot reached the American wilderness. He speculates that Gigantopithecus, an extinct genus of giant ape, once migrated from Asia across the same land bridge in what is now the Bering Strait that the first humans are believed to have crossed to reach North America. Bigfoot is believed to be particularly prevalent in the area around the town of Klamath, in northern California, where a group of adventurous souls has gathered on this October day. Camouflage clothing is de rigueur, and the mood is euphoric. The most avid members of the group have studied the BFRO's expedition handbook, which informs readers to expect "type 1" inspections: a visit by "one or more" Bigfoots to the tent camp while everyone is sleeping, "most often between 2 a.m. and 5 a.m."
No one in the group questions whether the creature exists. Instead, they discuss its biology. The Squatch is "mainly nocturnal," Kiel says. It lives in groups and is "stinky, musky." Its diet includes "roots, slugs, frogs, deer, elk, fish, onions and berries." It literally licks its fingers after eating a meal of skunk cabbage. Kiel has a round face with a vandyke beard, and he keeps his hair cropped short. When asked whether he has ever encountered the creature, he says: "Sure, just a couple of weeks ago." 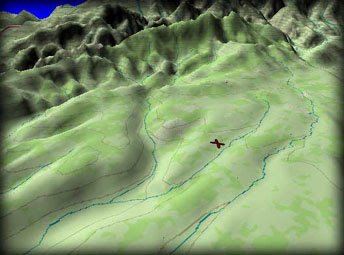 In late July, he explains, the Squatchers gathered at Bluff Creek, less than 20 miles (32 kilometers) east across the mountains. "We had walked about a mile and a half, when someone suddenly said: 'There's a Sasquatch sitting by the side of the road,'" Kiel recounts. "I didn't believe him, so I asked: 'Is it a bear?' But he was adamant." Kiel grabbed an infrared camera and peered through the viewfinder. "And, sure enough," he says, "there was the heat signature of a very large animal with its back to us, without a neck, with massively broad shoulders and a pointy head. You could see it from the waist up. I was totally flabbergasted." Kiel claims that the creature then turned around and looked at him twice. The intimate exchange of glances lasted about 15 minutes. Then Kiel, the expedition leader, decided to pull out. "I wanted to be respectful," he says. The area around Bluff Creek is well known among Bigfoot aficionados. It was where, on Oct. 20, 1967, a legendary amateur film was shot depicting a massive, hairy beast strolling through a riverbed for a few seconds. Film experts -- and even special-effects artists working for the Disney corporation -- have repeatedly scrutinized the blurred, grainy footage. But the evidence remains unclear. Is the creature a person in an ape suit or a world sensation of cryptozoology, the search for animals whose existence has yet to be proven? The man who shot the video, a rodeo rider named Roger Patterson, continued to insist that the film was authentic up until his death in 1972. At the BFRO camp in California, at any rate, no one questions the authenticity of the Patterson video. In fact, almost everyone in the group claims to have already seen a Bigfoot at least once. "I was elk hunting", says Rey Lopez, a government employee who lives near Sacramento. "At first I thought it was another hunter, but then I realized that it was a Sasquatch with whitish hair." We pile into Lopez's large pickup truck and drive out into the night. After a few miles, he stops the truck on a parking lot in the middle of the woods. The group uses headlamps with red lenses to avoid startling the beast. After a brief walkie-talkie test, everyone is ready to go out "Squatching," the nightly foray into Bigfoot territory. We spend the next few hours whispering and stumbling through the same woods in which parts of Steven Spielberg's "Jurassic Park" were filmed. The undergrowth is wet, and the red light is barely strong enough to illuminate annoying roots poking out of the ground. Kiel, the expedition's leader, stops every once in a while and sends his "whoop" calls out into the night. Sometimes he also blows on a high-pitched whistle or hits trees with a large "Squatch knocker" -- in layman's terms, a branch -- hoping the hollow sound might attract Bigfoot. Meanwhile, Robert Collier, who lives near Los Angeles, continues to observe everything with his night-vision goggles, which he proudly points out are "military grade." His eyes look green in the device's light. The whole production has only one purpose: to somehow convince the woodland beast to communicate with the group. "Bigfoots have been known to answer us," says Kiel. "We experience time and again that rocks are thrown at us." He also points out that "wood-knocks," "whoops" and "screams" are regularly heard echoing from the undergrowth. In fact, noisy audio recordings bear witness to the creature's supposed vocabulary, including sounds like blood-curdling screams and obscure-sounding jibberish. Particularly avid Squatchers say they've managed to make out bits of Russian and ancient Chinese in the audio soup. Even some of the creature's genetic material is allegedly in circulation. Kiel claims that Melba Ketchum, a veterinarian based in Timpson, Texas, has analyzed dozens of hair samples, but that the results of her research have yet to be published. Nevertheless, there are rumors in the community that tissue from two dead Bigfoots is in refrigerated storage at Ketchum's laboratory. Ketchum declines to comment, though, and the Squatchers have waited in vain for her to make an appearance at their annual Bigfoot conferences, which regularly attract several hundred attendees. Does all of this sound crazy? Sure it does. And, yet, there are some questions that remain unanswered. For example, the 1992 discovery of a new bovine species, the Saola, in the jungles of Southeast Asia has given the Squatchers hope. The Saola lives in an area that is no less densely populated than many of the forested areas in the United States. Couldn't it be possible that a shrewd giant ape has been hiding undiscovered in the forests of North America for centuries? "It's a good excuse to go camping," says Bill Brewer, who harbors a healthy degree of skepticism despite being a BFRO member. Squatching, he says, also happens to be a lot of fun. Perhaps this explains why these hikers in the northern California night seem undaunted in their enthusiasm, even though the woods remain stubbornly silent until the early morning hours. But at least that gives them a good reason to come back soon. And it might also be that the Squatchers don't even want to find the mysterious, broad-shouldered creature after all. The BFRO is holding a free open town hall meeting for people to share their Rhode Island bigfoot information (sometimes called "Big Rhody"). We'd really like to speak with eye-witnesses who have not contacted us before. Anyone with reliable second-hand information is welcome also. After spending a few days and nights in RI, we're guessing that there are many more witnesses in RI than we previously knew about. It's a surprisingly squatchy place. Virtually all of the human attention is directed at the spectacular bays and inlets. Consequently the vast inland swamps and forests are relieved from a lot of human reactional traffic. You can see the map and directions below. 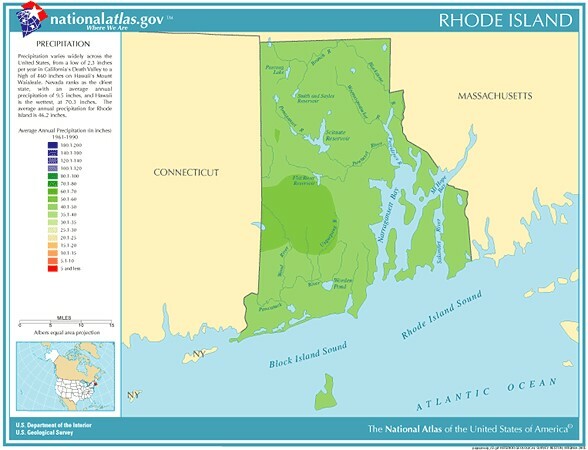 Rhode Island, historically was not considered one of the squatchiest spots. Recently BFRO claims credible report from the area. Mostly in the the NW and the SW portions in the state. 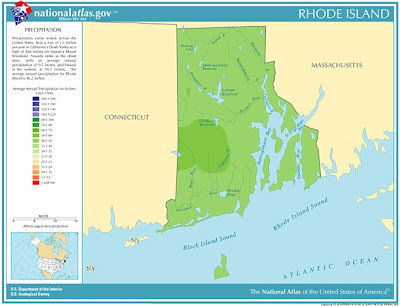 As there have been correlations made between high precipitation and sasquatch sightings, the precipitation map of Rhode Island below shows the SW area as promising. BFRO is also requesting everybody to contact your local media in Rhode Island. Here is a list of radio stations in Rhode Island, including links to the web pages for those stations (click here). Please go to those web sites and look for the "Contact Us" pages within those sites to find phone numbers and email addresses. The primary radio people to alert are the jocks for the two major radio stations with drive-time morning shows: 94 HJY (email: jocks@whjy.com) and the folks at 92 Pro FM (see contact list). If the radio hosts would like to speak with someone about the meeting, they can contact us at the following phone number: 949-278-6403. Go to the BFRO Rhode Island News page for more details. 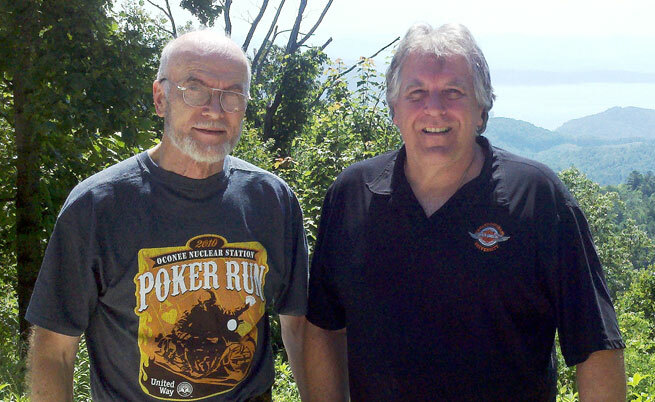 This week we celebrate Thom Powell, the contemporary researcher and author of the Bigfoot research book, "The Locals". On November 3rd he will be speaking at an event sponsored by the Oregon Sasquatch Symposium and University of Oregon. There are rumors he will provide a peak of his new book, "Shady Neighbors"
Almost a decade ago Thom Powell was part of the first "Wireless Wilderness" Project with BFRO. It was an two-year endeavor to obtain photo and video images of Sasquatches using a remote monitoring system. Below is a short excerpt from Thom's article about the project, including a list of 7 tentative conclusions based on that project. Bigfoots seem to choose certain homesteads to frequent based on things like the available sources of food, and maybe even more subtle matters like a ‘live-and-let-live’ spirit of animal accommodation displayed by some rural residents. A&A’s place earns high marks on both counts. They raise many types of livestock, and they have a compassion for animals that is evident through their behavior and the caged animals in various stages of rehabilitation on their property. It is easy for me to accept that bigfoots have the capacity to identify people who display compassion for animals because I have seen indications of this at other rural locations where bigfoot activity was suspected. I also understand that such suggestions are pretty far-fetched. 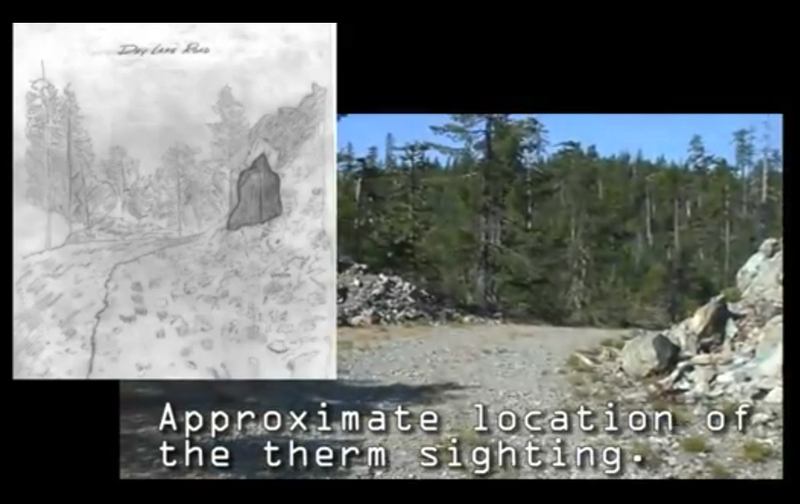 Gathering hard data on extremely rare events like bigfoot sightings is virtually impossible. Gathering data on even rarer and more obscure matters like behavioral preferences or characteristics is beyond the current realm of science. All we can do when it comes to answering such questions is to look for patterns and make educated guesses based on very limited data. It’s not very scientific, but it is the best we can do for now. 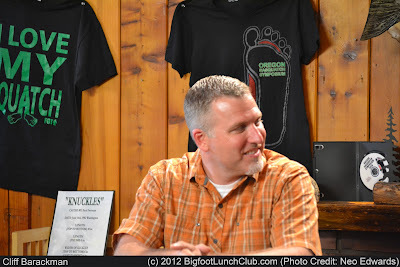 Bigfoots consciously and effectively avoid most human contact. In general, they don’t want to be seen or found by people. The more you try and stalk them, the more they retreat and hide until you leave. Trying to stalk bigfoots is not just futile, it may be counterproductive. They likely observe people in the woods. 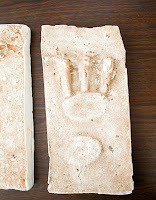 If someone is seen to be searching for footprints and casting them in plaster, they may strive to avoid leaving any more easily identified footprints. This suggests that if you want to see a sasquatch, try not to be too obvious about looking for one. Best to go to the woods with another purpose in mind, whether it is mushroom picking, meditating, playing music, or painting nature scenes. Then keep your eyes open and your ears attuned. Guns and other visible weapons are anathema. Bigfoots are very smart and very shy. They modify their behavior in response to our behavior. The more you try to trick them, the trickier they become in avoiding your tricks and traps. So, if you are trying to get a bigfoot on camera, make sure that your first attempt is your best attempt. Once you flash a bulb or aim a video camera at them, you will never get another chance with the same group of bigfoots. Whether they understand it is a camera or not is a point of considerable debate. Regardless, they have an aversion to things being pointed at them, particularly things that look like weapons or big eyes. Remotely monitored video systems seem promising for getting a sasquatch on film, but they are still crude and heavily reliant on luck. Based on our experience at A&A’s, getting lucky probably means catching a less cautious and more curious juvenile that carelessly wanders in front of the camera. At our experiment site we thought we were seeing evidence that the juvenile was sometimes far away from any supervising adult. One possible reason for bigfoots blocking trails could be as a reminder to juveniles not to wander too close to suspicious items like the cameras that we had placed in their woods. The only photographic evidence we are likely to get from mounted video cameras would be fleeting images that are lacking in detail, and therefore inconclusive. On the other hand, the only photographic evidence that could have any real scientific merit must be close-range, extended video or film footage. This seems unlikely to happen with stationary remote monitoring equipment. A more promising approach that has not been tried to my knowledge would be to first habituate a family group over a period of years. 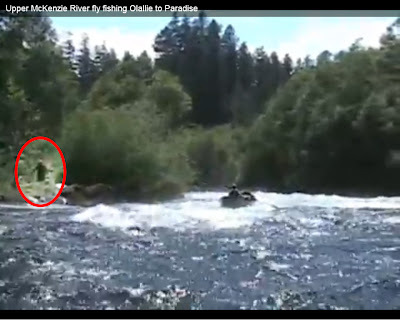 Only after the bigfoots are completely comfortable with the researcher’s presence should a camera be deployed. Even then, it would be necessary to avoid big lenses and obvious cameras. I would suggest wearing a hands-free, button-sized miniature camera that is recording images on a belt-mounted digital recorder. Habituating not just one, but a group of sasquatches to human presence is a critical step. Bigfoots are not necessarily solitary by nature. Even when it appears that there is only one around, there may well be a family group that keeps very much out of sight. (which may well occur more often than is commonly believed) Gaining their trust takes an amount of time that is measured in years, not months. Based on sighting report patterns, children and human females, being more inherently vulnerable, seem to be trusted by bigfoots much more readily than human males. Forget about proving they exist by shooting one with a gun. There are practical problems of caliber and shot-placement that make the chances of success improbable in the extreme. Beyond that, you just can’t get close enough to one to shoot it. Unless you have habituated it to your presence, it will take years to overcome their distrust of humans. If gaining their trust were actually accomplished, empathy for the creatures on your part would be so great that betraying them with a gun would feel like murdering a relative. If you doubt this, it is only from a position of no particular experience. Even if someone did succeed in killing one, it is highly doubtful that this bigfoot executioner could avoid the swift and lethal retribution from the rest of the family group. This is why, when people ask me what to do if they did manage to shoot a bigfoot, my answer is, “Reload.” If obtaining a carcass is your goal, chances are it will be a road kill or other accidental mortality, not a hunting mortality. We recommend reading the entire post on the BFRO site as it goes into greater details regarding the methods used during this project.